The US had a great deal going from 1953 to 1979 with the Shah of Iran. For 25 years Iran was a cornerstone of the US usurping the British Empire in the Middle East, following World War Two. Iran was a base for projecting US power in the region, and strategically it bordered the Soviet Union during the Cold War. Prior to the CIA-led 1953 overthrow of the democratically elected Prime Minister Mohammed Mossadegh, Iran demanded 50% of the profits and control of their oil industry. That was not unreasonable, but Iran was willing to negotiate. At the time, the US oil companies had a 50/50 profit sharing agreement with Saudi Arabia. President Harry Truman was adamantly against colonialism and sided with Iran, which infuriated the British. When President Dwight D. Eisenhower took office in 1953, he sided with the British. Eisenhower and Churchill plotted a coup d’état to overthrow Mossadegh. The frightened Shah, who was in on the plot, fled from Iran before the coup attempt just in case anything went wrong. The first attempt did fail. 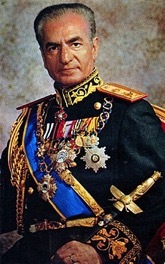 A second daring CIA-led coup succeeded and the US reinstalled Mohammad Reza Pahlavi as the Shah of Iran, with dictatorial power. By its intervention, the US broke the British Empire’s monopoly on Iran’s oil. That was part of the US’s calculous. After the coup, US oil companies got 40% of Iran’s oil industry, 14% went to Royal Dutch-Shell, 6 % went to the French Petroleum Company, and the British oil company kept 40%. In addition, Iran got its 50/50 share of the net profits that it wanted in the first place. The US immediately sent financial aid to prop up the Shah, and to bolster Iran’s weakened economy from the British blockade. Since Iran was a developing democracy, an excuse had to be found for a US intervention. Churchill accused Mossadegh of being a communist. There was no evidence that he was. Mossadegh was an anti-colonial nationalist who cared about the welfare of the Iranian people, and that was all the evidence that Eisenhower needed. Mossadegh had to be punished for standing up to the British and demanding Iran’s natural resources for the benefit of the Iranian people. The winners from the coup were the US and the timid Shah who had ran from his own people. The US would teach him how to have a backbone. He turned out to be a good student, and with the support of the US he turned Iran into a totalitarian police state and he ruled by terror. The Shah got US protection from his own people and from foreign enemies. Now that the Shah is gone, the US propaganda machine and the mainstream media put out a flood of stories about how wonderful life was under the Shah. The propagandists use economic indicators of inflation, employment, gross domestic product, oil exports and the upper-class standard of living. Anybody who puts out those kinds of comparative economics deserves to flunk Economics 101. Constant US, Israeli and Saudi threats require Iran to divert its domestic budget more towards defense, instead of its desired economic goals. Terrorist attacks and internal dissention stirred up by the US causes Iran to increase its internal security to the detriment of civil liberties. The US and the mainstream media propaganda machines know what the deliberate effects of US aggressive actions cause, but they cruelly taunt Iran for its economic and social hardships by blaming the victim. The US is still fighting a cold war against socialism, the welfare state, and public ownership. A cold war against Iran is not about US national security. Iran is not an existential threat to the US, or to Israel either. [*] It is about US corporations being thwarted from exploiting Iran’s natural resources, privatizing their state-owned enterprises, and “opening” Iran to unequal trade arrangements. It is also about the US being the hegemon in the Middle East. The US is still using the same gunboat diplomacy that it has been using since the 19th century to “open” Latin America, Japan, Korea, China and the Philippians to exploitation. It is old fashioned imperialism dressed up in the jargon of “human rights, democracy, and US exceptionalism”. It is what old-world colonialism called “civilizing the heathens”. As far as the US public knew the Shah was highly popular and loved by his people. Imagine the surprise when the people of Iran overthrew him in 1979. The mainstream media was shocked too, since they had swallowed their own propaganda. The images of Iranians rioting, protesting, burning the US flag and shouting Death to America were frightening, it looked irrational, and it seemed to come out of nowhere. In the US, every nightly TV news broadcast began with the number of days that had passed since the beginning of the Iran Hostage Crisis. It lasted for 444 days, and resulted in President Carter losing his re-election bid to Ronald Reagan in 1980. Instead of an imperial looking shah, the Iranian Revolution ushered in an Islamic leader to head the government. The thought of Iran turning into a theocracy seemed antiquated to Americans. 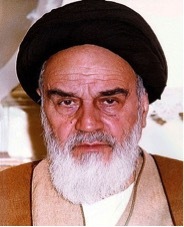 They had not known that Ayatollah Khomeini was a national hero since the early 1960’s. He had been arrested, tortured, imprisoned and then exiled to France for his outspoken opposition to the Shah. [*] The unphotogenic image of a dour looking Ayatollah Khomeini was an easy target for Western racist and Islamophobic propaganda. The US public could not understand why Iran became anti-US, anti-West, anti-modern, and appeared to be fanatical. The violent purging of the Shah’s cronies and of the opposition was shocking. Iranian supporters of the Shah who fled to the US brought with them wild tales of people being hung from street lamps for having televisions and toilets in their homes. They left out the part about how they lived in affluent luxury, while the vast majority of people lived in hovels. The transition was violence, and it lasted for about 2 years. In 1978 Amnesty International reported that nothing had changed for the better in Iran. Even the mention of the word SAVAK was enough to send chills down the backs of Iranians. Just as Trump is trying to cover up for MBS (as Thomas Friedman affectionately refers to the Crown Prince of Saudi Arabia), President Jimmy “Human Rights” Carter tried to cover up and sheltered Mohammad Reza Pahlavi after the Iranian Revolution. The Iranian people wanted the Shah arrested by the US, where he had fled. They wanted him extradited to Iran to face justice. Not coincidentally, Iran released the US hostages within hours of Ronald Reagan being sworn in as President in 1981. The circumstances and timing of the hostage release is still controversial. [*] Most likely, Carter deserves the credit for successfully negotiating the release of the hostages. [*] Why the Iranians released the hostages when they did is still a mystery. Iran’s leaders took two lessons from the Iran-Iraq War. The first was that Iran was surrounded by enemies, near and far. To the regime, the invasion was not so much an Iraqi plot as a Western one. American officials were aware of Saddam’s preparations to invade Iran in 1980, and they later provided him with targeting information used in chemical-weapons attacks; the weapons themselves were built with the help of Western European firms. According to the New York Times, “the Reagan Administration secretly decided shortly after taking office in January 1981 to allow Israel to ship several billion dollars’ worth of American arms and spare parts to Iran”. [*] Cynically the US later said that it gave aid to both sides “to remain neutral”; and unsaid was to keep either side from winning. Both Iran and Iraq suffered over 500,000 casualties each in the Iran-Iraq War. If the US had hoped that the Iran-Iraq war would weaken Iran, then the unintended consequences were just the opposite, as often is the case with US duplicity. Iraq’s invasion of Iran united the Iranian people strongly behind the Iran revolutionary government. In 2003, President Bush’s invasion of Iraq would make Iran an even stronger regional power. In 1982 Israel invaded Lebanon, and through a series of events Reagan sent US Marines to Lebanon. He called them a “peacekeeping force” to avoid having to get Congressional approval under the 1973 War Powers Resolution. In 1983 a truck bomb suicide attack on a Marine barracks in Lebanon killed 241 people, mostly US Marines. The US blamed the attack on Iran and declared Iran a “terrorist state”. More US sanctions were imposed on Iran even though there was only circumstantial evidence that Iran was the perpetrator. Even with all the turmoil of the 1980’s, Iran continued to work on its nuclear program. It had signed the Nuclear Non-Proliferation Treaty (NPT) in 1970. Iran has every right under the treaty to a nuclear energy program. In fact, under the treaty the nuclear-weapons countries are obligated to cooperate with the non-nuclear-weapons countries in the peaceful development of atomic energy. Instead of abiding by the NPT, the US used the red herring that Iran had a nuclear weapons program. Without proof, the US slapped unilateral economic sanctions on Iran. So, Iran turned to France, Russia and other countries to purchase material, equipment and technology for its nuclear energy program. Then in 1996 under President Bill Clinton, what was to become known as the Iran and Libya Sanctions Act was passed by Congress. l*] This act penalized any US or foreign entities that invested in Iran’s oil and gas industry. The supposed rational was that investing in Iran’s oil and gas industry would provide Iran with the funds to develop weapons of mass destruction. Since money is fungible, the same logic could be used about all trade with Iran, and eventually it was. Still there is no proof, except circumstantial, that Iran has ever had a nuclear weapons program. The real reason for economic sanctions is that the US is engaging in economic warfare against Iran. It is angry because their puppet shah was overthrown. US economic sanctions are an attempt to destroy Iran’s economy. As the most powerful and influential economic nation in the world the US can exert tremendous financial penalties, hardships and isolation on other countries. Most of the suffering from sanctions are borne by civilians. Does supporting the aggressor in a war, aiding the aggressor in the use of banned chemical weapons, giving both sides weapons to kill each other, and shooting down a civilian airliner qualify as “state sponsored terrorism”? Since 1979 the US has killed millions of people is covert operations such as in Afghanistan, and in illegal wars of aggression in the Middle East, such as the 2003 invasion of Iraq. Yet, Iran is condemned by the US as the world’s “leading state sponsor of terrorism”? Such accusations by the US against Iran are hypocritical and politically motivated hyperbole. [*] The motive for US propaganda is to aid the cause of overthrowing, one way or another, the internationally recognized legal government of Iran. [*] The world’s leading sponsor of state terrorism is surely the US, and its partners in terrorism are the UK, Israel, and Saudi Arabia, and the other Gulf Cooperation Council countries. The definition of terrorism according to Webster’s dictionary is “the unlawful use of violence and intimidation, especially against civilians, in the pursuit of political aims”. The victims of US economic sanctions call it financial terrorism. It is and it does hurt mostly civilians financially, and it causes them unnecessary suffering and deaths from the lack of nutrition and medicines for curable and preventable diseases. There is also tremendous emotional distress on the civilian population caused by economic sanctions. Alcoholism, drug addiction, divorce, crime and many other social conditions are exacerbated. The US wants to turn the clock back to 1953 and a return of the Shah of Iran. Why not? The US had a great deal going with the Shah of Iran for a quarter of a century, until the Iranian Revolution of 1979. That is why the US hates the current government and wants to overthrow it. The US is determined to undermine the government of Iran. President Trump’s violation of the JCPOA, “Iran Deal”, has put “all options on the table” again: economic sanctions, terrorism, war and even the use of nuclear weapons. Iran is now in its 40th year of the Islamic Republic. [*] Speaking to the terrorist group MEK in 2017, John Bolton said that President Trump’s policies should be that “Ayatollah Khomeini’s 1979 revolution will not last until its 40th birthday.” [*] The 40th anniversary of Iran’s Islamic Revolution will take place in a few months, on February 11, 2019. Obviously, Bolton is not invited. Trump says that the Iran Deal is the worst deal in history. What the US wants is the old deal that it had with Iran from 1953 to 1979. That was the “Greatest Iran Deal in History”. The CIA already has their man ready. They have been grooming him since he was 17 years old. He lives not far from the CIA headquarters in Langley, Virginia. 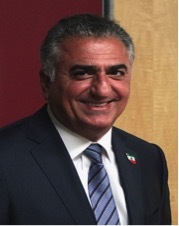 He is Reza Pahlavi, the Crown Prince of Iran. He is the last heir apparent to his father’s defunct Peacock Throne. He is waiting in the wings for the job opening for a new Shah of Iran. [*] Glide your mouse over the stars in the article for hyperlinks to supporting attributions. 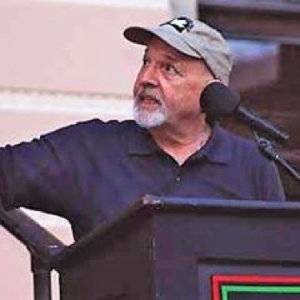 “The Plot to Attack Iran: How the CIA and the Deep State Have Conspired to Vilify Iran”, by Dan Kovalik. “Shah of Shahs”, by Ryszard Kapuscinski. “All the Shah’s Men: An American Coup and the Roots of Middle East Terror”, by Stephen Kinzer.